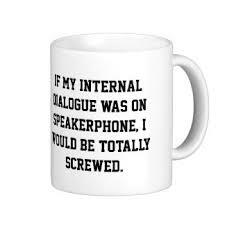 Want to Know How to Write Realistic Internal Dialogue? As a writer, we want our characters to come across as credible and believable. Internal thoughts are part of bringing our characters to life. 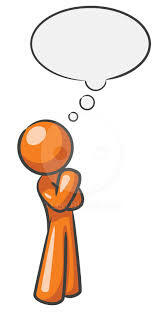 So, what is the correct way to write what characters are thinking? To make characters real to our readers. Show vulnerability – to help connect readers to the character. For dramatic effect – when you want to emphasize something important. Readers tend to remember emphasized moments. To show the character’s motivation. Using the tag, “He thought.” I wish Stephen would leave well enough alone, she thought. Italics: Why can’t Stephen leave well enough alone? Italics are my favored method to show internal dialogue. Intermingling thoughts with narrative. Claire stared out the window. Why couldn’t Stephen be happy with the status quo? She didn’t have a clue what answer she’d give him this weekend. Using quotations – for the most part, is not recommended, even single quotations. Because quotations denote dialogue, it can confuse to the reader. Do you find one method preferable over another? Why? I’d love to hear your comments. Talk to me. Tell me your story. And as always, you can follow me on Facebook at SheilaMGood, Pinterest, Bloglovin, Contently, and Twitter @cofcmom. I like using italics. It creates a difference between what was said aloud and thought internally. I sometimes use “s/he thought ” I’m definitely sharing this article with the budding writers in my circles. I hadn’t heard that, thanks for sharing. I’m experimenting with blending thoughts into the narrative. Haven’t mad up my mind yet. Thanks for stopping by and commenting. I love to hear what others have to share. I’ll do a little research and let you know. I like using italics or the she/he thought method. I don’t ever use quotations because I agree how that can be confusing for a reader. Thanks for commenting. I find that most of the writers I know, use Italics, but blending in with narrative also interest me. Glad you stopped by the Cow Pasture.